who have delivered tuition to an appropriate standard for some time. Use the form at the bottom of this page (or my contact form) to tell me about what you do. ​I list information fast if you comply with what I ask for. How are these listings compiled? Nobody pays to get listed on this site! (1) the organisations and (2) individual tutors. who has also assessed, examined, moderated and inspected during the course of my career. People teach in different ways. Students have different needs and respond to some styles better than others. Teachers who would be regarded as excellent by some might also be viewed as difficult and too demanding by others. Good experiences will always depend on getting a good match between what a tutor has to offer - and their style of teaching - and what a student needs and wants. I focus on presentation and communication by the teacher, quality of their artwork and recognition of quality by independent assessors - and training as a teacher. Review websites and social media for information provided about botanical art courses / tuition on offer. Plus, of course, we can all can tell a lot by how fast courses get booked up by students wanting to repeat purchase! Image: Botanical art tutors travel! The banner image is of a class in San Mateo California by Illustrating Natures Details with Sarah Morrish (UK). 4) WHY you are recommending them - please be specific as to how they helped you. Below you will find quotations from students about the tuition they got from individuals. Listed below are experienced botanical artists providing regular tuition in different locations. ​Listings are limited to artists who have a website providing details of their tuition opportunities. International Tutors are experienced botanical art tutors who are willing to travel to different parts of the world to deliver workshops, classes or tuition - and have done so. (It currently excludes those whose workshops are limited to those linked to an exhibition / conference where organisation and promotion is largely undertaken by the event organisers). ​Helen Allen FLS BA(Hons) PGCertEd DIP EGS - Has taught abroad for a number of years and at a number of venues including ASBA Conferences. In 2019 is continuing to teach at Wellesley College, Boston MA and Romania. Also teaches in The Netherlands and Guernsey. Currently a member of the RHS Picture Panel. McNeill Botanicals is Fiona Strickland D.A. (Edin) PGSE GM and Robert McNeill ASBA Both are well known and highly regarded botanical artists and tutors. They are also both qualified art teachers who taught art for 30+ years prior to retirement. In terms of botanical art, they deliver masterclasses and workshops overseas, in the USA and Netherlands. They have been invited tutors for invited tutors for RBGE, the SBA, the SSBA, the DSBA, BAGSC and the ASBA. ​Elaine Searle BA (Hons.) FLS, ASBA, AssocSBA - Teaches holiday short courses in Italy (annually) and workshops around the world. Former Course Director of the Chelsea School of Botanical Art, now devoting more time to developing an extended range of online course delivery including mentoring. (see UK entry below). Check out her artwork. Jessica Shepherd BSc (Botany) MSc (botanical taxonomy) FLS - has been invited by the RHS to demonstrate at the Chelsea Flower Show and Botanical Art Show. Has done talks at the Real Jardín Botánico and other venues and delivers workshops and classes in other countries by invitation - often in relation to one of her major projects. Dianne Sutherland BSc (Hons) Biology, SBA, ASBA, DipSBA(Dist), CBM (see UK entry below) - Travels extensively and has delivered recent workshops in the USA, Canada, New Zealand and Indonesia​. This year she has been invited to deliver a masterclass in Russia. She specialises in delivering workshops re. working on vellum. Julia Trickey ​GM ASBA - delivers workshops and classes at international events and in other countries. Has done workshops by invitation in New York and in Moscow in the last two years. Margaret Best - graduated as an art teacher. For the last 12+ years, she has taught at botanical gardens, botanical art societies and art schools in UK, France, South Africa, USA, Bermuda and delivered numerous workshops in Italy, Spain, UK and Morocco. Margaret teaches drawing in graphite and coloured pencil and painting in watercolour; she also offers a private tutoring / mentoring program. Anita Walsmit Sachs - delivers workshops in Europe. Işık Güner GM - an experienced teacher - since 2008. She recently delivered workshops in Barcelona and Morocco. In 2017 she also did an artist residency at the Botanical Gardens in Denver. Margaret's teaching was spot on. She was attentive to each individual student's artistic goals and needs, and though we were not all working in the same medium, she easily switched back and forth between them, giving instruction in technique that was clear and helpful. She is a kind and thoughtful instructor, with an organized, practical way of presenting information about technique. She also has a number of simple, helpful tips - everything from brush recommendations, to "finishing touches", to handouts on paint or pencil colors she uses, their light-fastness, and other reasons she uses them. Susan Tomlinson RECOMMENDS Margaret Best and has signed up for a second course. This listing is becoming comprehensive but is not yet complete. If you think your name should be in this listing please use the form at the bottom of the page. Anna Mason SBA - Dedicated Online School which focuses on improving watercolour techniques and uses plants as subject matter. Includes an offer of a FREE class. Taught "thousands of people from 70 countries in the last 7 years"
Sarah Morrish Bsc. (Hons), RBGE Cert BI (Dist. ), ASBA, CPGFS - Dedicated tuition website - Illustrating Nature's Details - includes a dedicated page Online Tuition in Drawing Nature (Parts 1, 2 and 3) Sarah is qualified to teach in lifelong learning (adult art), she is also a very experienced tutor of both botanical and natural history illustration. Ann Swan ​GM SBA - Dedicated Page for her NEW online tuition NEW Pencil Potential - includes step-by-step instructional videos for both graphite and coloured pencils. Numbers limited to 12 for each workshop. Dianne Sutherland ​SBA - Dedicated Botanical Art Online website. Has provided online tuition since 2009 (including via Skype) inc. watercolour on Vellum. 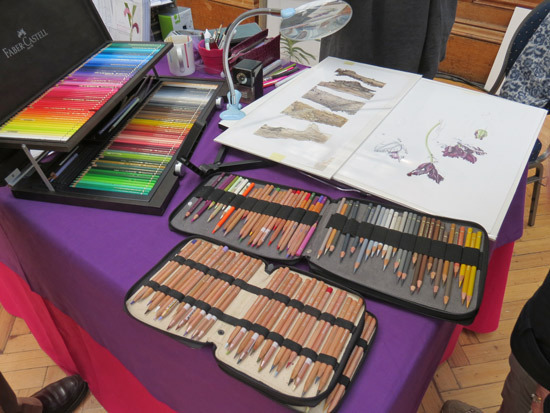 Susan Christopher Coulson demonstrating various coloured pencils sets to visitors to RHS Botanical Art 2016. ​These are tutors who deliver tuition - typically via short courses and workshops - across the UK at various venues. Some also work internationally. Susan Christopher Coulson GM VPSBA - Very experienced botanical artist and tutor. Her Teaching page on her website details of venues where Susan will be teaching workshops. Locations are typically all over the UK. Shevaun Doherty GM (Bloom 2014-2018) SBA, ISBA - Based in Ireland. Vellum Tutor of the Society of Botanical Artists and at various workshops in the UK and abroad. Mally Francis FLS FCPGFS FEPFS - based in Cornwall where she delivers most of her tuition (see below) however she also does courses for botanical art societies around the UK. Elaine Searle BA (Hons.) FLS, AssocSBA. - Award-winning artist and former Course Director of the Chelsea School of Botanical Art. She delivers online tuition, holiday courses in Italy and Majorca and has taught short courses at a variety of venues around the world for some time. Billy Showell PSBA GM (BISCOT 2017) - Short courses / classes will be delivered again in 2019 at various venues around the country eg RHS Wisley. Contact Billy for details. Also writes very popular instruction books and has an extensive online tuition service. 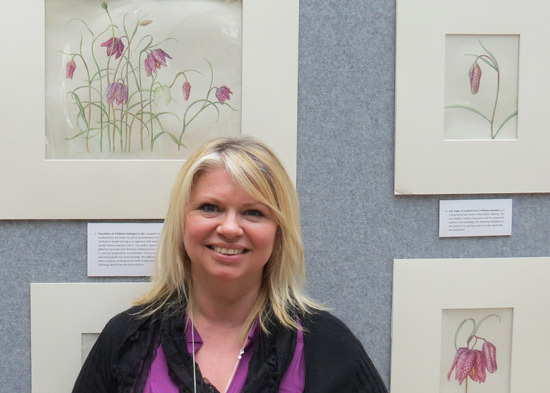 Dianne Sutherland BSc (Hons) Biology, SBA, ASBA, DipSBA(Dist), CBM - She travels extensively to deliver classes at various UK florilegium and botanical art societies and workshops across the world from New Zealand to the USA. She also has also been delivering her online course since 2012. Specialises in delivering workshops re. working on vellum. Julia Trickey GM ASBA - Award-winning artist (4 RHS Gold Medals). Holds a life long learning qualification for adult tuition. Regular 10 week courses and one day workshops available near Bath. Also teaches workshops around the UK and abroad, often by invitation. 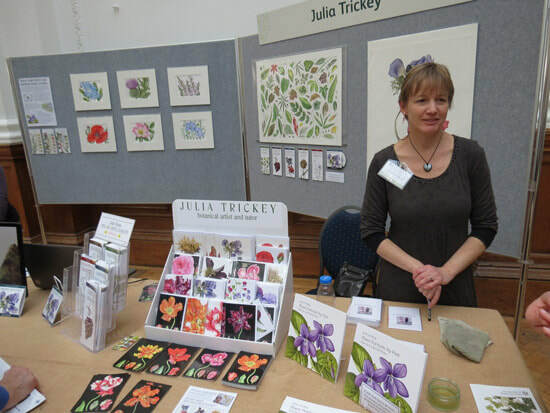 Sue Vize SBA - She works full time as a botanical illustrator and tutor - mainly in the north. Author of Botanical Drawing using Graphite and Coloured Pencils. Workshops around the UK - Teaches adults botanical illustration throughout the year on a wide range of workshops, from weekly evening classes to full board residential holidays. Specialises in pencil art in graphite and coloured pencil. Janie Pirie GM SBA - Specialises in floral and botanical art using coloured pencils. Workshops held in garden studio and at various outside venues. 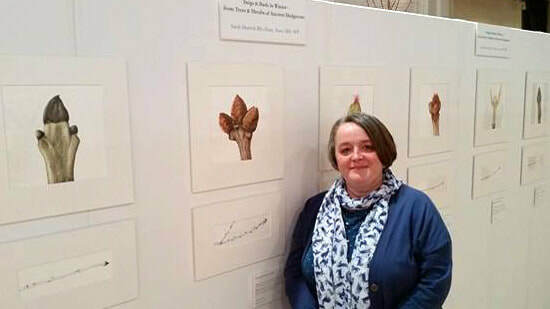 ​Elaine Searle - A botanical artist whose paintings are widely commissioned and exhibited. Past Course Director at the Chelsea School of Botanical Art. Diploma (distinction) in Botanical Painting from The English Gardening School, London. Mentored by Ann-Marie Evans. Works in Watercolor on paper and vellum and Graphite. Runs workshops in UK, USA and Italy. Also provides online distance learning short courses offering short videos and full email support and critiques and personal tutorials via Skype (if required). Sandra Wall Armitage PSBA - Workshops and one and two days watercolour workshops run at her studio in Chalton, Bedfordshire. Suitable for all levels of ability. ​Norma Gregory GM SBA holds classes in Waddenhoe. She has a post-graduate Diploma in Adult Education from Leeds University and has worked as a professional teacher for many years. Sue Vize SBA ASBA teaches botanical illustration in coloured pencils and graphite at classes in Nottingham, Derbyshire, Yorkshire and RHS Garden Harlow Carr. She is also the author of Botanical Drawing using Graphite and Coloured Pencils. ​Helen Allen FLS b.1948 Principal of the Chelsea School of Botanical Art (previously Course Director for the Diploma from the English Gardening School - which she graduated from). Susan Christopher Coulson GM VPSBA delivers a number of venue-vased courses in Cumbria and elsewhere in the UK. ​See Sue Vize SBA ASBA (in Midlands). Sue teaches at RHS Harlow Carr. Michael Lakin - based in Ticknall, South Derbyshire. Has a purpose built studio in his garden (with ample parking) where he holds all his 1-2 day courses and his weekly classes. Author of Beginner’s Guide to Botanical Flower Painting and A-Z of Botanical Flowers book. Julia Trickey GM ASBA - Award-winning artist (4 RHS Gold Medals). Holds a life long learning qualification for adult tuition. Regular 10 week courses and one day workshops available near Bath. Produces short instruction leaflets and mini videos. Also teaches workshops around the UK and abroad, often by invitation. Mally Francis FLS FCPGFS FEPFS - founder-chairman of the Eden Project Florilegium Society and Fellow of Chelsea Physic Garden Florilegium Society; she delivers tuition at The Lost Gardens of Heligan where she also hosts top botanical artist/tutors. Christina Hart-Davies GM - tutors one- and two-day workshops in Dorset, Hampshire and Wiltshire. Also leads workshops for private groups and societies interested in botanical painting. Author of A Wild Plant Year and The Greenwood Trees. Ros Franklin GM FLS, FEPFS ASBA - Teaches workshops from her studio in Hampshire. Also teaches at the Eden Project, for Field Breaks and at RHS Gardens. ​Jenny Jowett FSBA - Teaches a number of 2 day workshops from home. informal teaching methods include talks and demonstrations, individual coaching and discussion. Also teaches Field Study Council courses. Billy Showell SBA - Author of four best-selling and highly recommended textbooks about botanical painting. Live Classes at her home in Tunbridge Wells in Kent. Classes are also held at a variety of other locations. Plus an extensive library of online video tutorials are also available to subscribers. 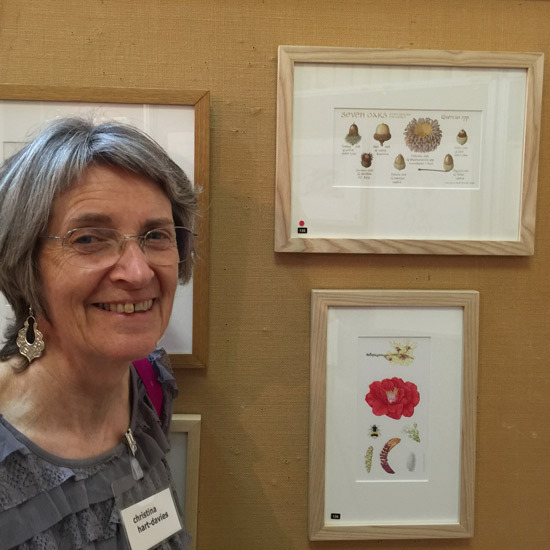 Billy Showell with two of her paintings at the Annual Exhibition of the Society of Botanical Artists 2016. Billy has a huge following because she makes tuition friendly, accessible and helpful. ​Her book includes both basic tips (e.g. stretching watercolour paper) and techniques specifically used by botanical artists. Leigh Ann Gale - author of ‘Botanical Illustration – the complete guide’ (2018). Honours graduate in Graphic Design (1989). Diploma in botanical illustration from the English Gardening School, Chelsea Physic Garden. Certificate in Education (2008). She now teaches botanical illustration throughout West Sussex and Surrey and mentors students on botanical illustration diploma and certificate courses. Meriel Thurstan One of the principal illustrators and authors of the Eden Project books about botanical illustration. Founder Chairman of the South West Society of Botanical Artists; Founder member of the Eden Project Florilegium Society. Weekly classes at her home. Gaynor Dickeson Dip SBA(Dist), SBA ASBA - Self taught natural history artist who achieved a Distinction for her SBA Diploma. Has taught art since 1978. Member of SBA and ASBA who has exhibited at the RHS and the Hunt. One and two-day workshops in water colour or coloured pencil plus critiques offered. All abilities welcome to her studio in Bosham, West Sussex. Ann Swan GM SBA - Workshops and Holidays - Exhibited at RHS and Hunt and work is in the Shirley Sherwood Collection. She has also served as a Judge on the RHS Picture Panel. Works in graphite and/or coloured pencils and a passionate advocate for coloured pencils. Has strong abilities in contemporary design. Author of Botanical Painting with Coloured Pencils (see below). Teaches at all levels. Her workshops get booked up very quickly. Workshops are delivered from her home studio in Wiltshire and at venues and for organisations around the UK and abroad. This is the first ever book written by an RHS gold medal winning artist to deal in depth with the execution of botanical art in coloured pencils to exhibition standard. It's an invaluable guide to those wanting to develop their skills in using coloured pencils for botanical art. ​Read my in-depth Book review: Botanical Painting with Coloured Pencils on a separate page. This book on rendering botanical art in coloured pencil is by RHS Gold Medal winning artist and SBA Member Ann Swan - one of the leading coloured pencil artists in the world. ​Hence this book is a very welcome addition to the libraries of coloured pencil artists who want to develop their botanical art skills. 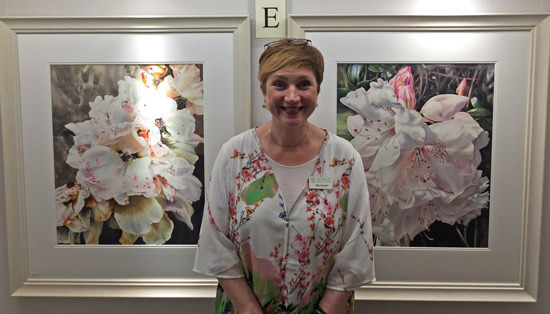 Fiona Strickland GM - Tuition - Award-winning botanical artist and very experienced art teacher. Tuition takes the form of Master Classes, weekly classes or residential courses at various venues. Her teaching is organised alongside that of her husband Robert McNeill (see below). Robert McNeill DA Edin. SBA CBM - Tuition - Robert graduated from Edinburgh College of Art where he studied drawing and painting. He then taught art in a teaching career that lasted 31 years. In 2011, he took early retirement and took up botanical art. He is now a practising professional botanical artist and teaches botanical art with his wife Fiona Strickland. 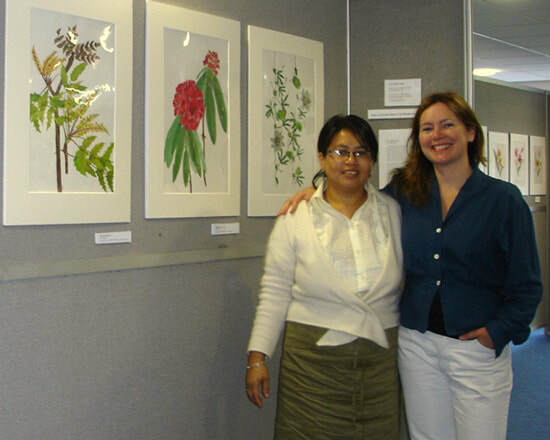 ​Claire Ward SBA - Completed the SDA diploma in botanical illustration with distinction in 2007. Runs workshops at Denmark farm conservation centre in West Wales and the Elan Valley in Powys. Below is a slideshow/video of her sketchbooks and demonstration of contemporary watercolour painting techniques at the SBA Exhibition on 17th April 2015. Mischa Skorescz trained and works as a psychotherapist in Vienna. She has recently started teaching botanical illustration at art centres in Austria. Katja Katholing-Bloss Bayreuth - While living in England she taught taught botanical art at the Hereford College of Technology in England. Her workshops and classes are suitable for beginners and intermediate students. Private lessons for one person or a small group. Shevaun Doherty - Watercolour & Vellum painting; From 2016: Online classes @ London Art College; Tutor for SBA Distance Learning Diploma (Vellum & Composition). Private tuition for groups/individuals (all levels). Mary Dillon - Achieved an SBA Diploma with Distinction in 2014. She was invited to teach at the annual ASBA conference in 2017 and again in St. Louis in October 2018 and has taught other international workshops. Margaret Saul ​Castellina-in-Chianti - An Australian who lives in Tuscany and teaches in the USA! 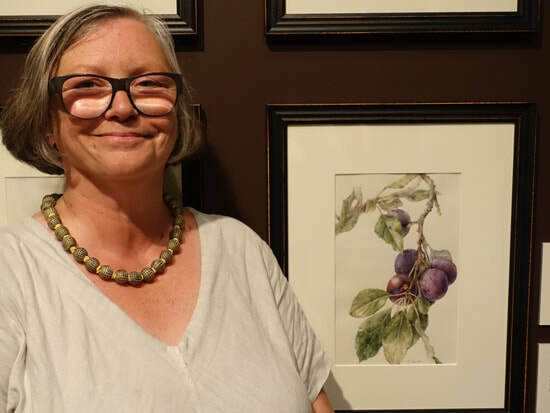 Teaches botanical art from her Tuscan Home and courses in the USA at the Brookside Gardens School of Botanical Art & Illustration (BGBSI) - which she founded and where she is a Director. Irina Neacsu is a designer with a wide portfolio of interior architecture and applied art projects. She has taught art for 10 years. She is a relatively new botanical artist and founded the Romanian Society of Botanical Artists (RSBA) in 2018. 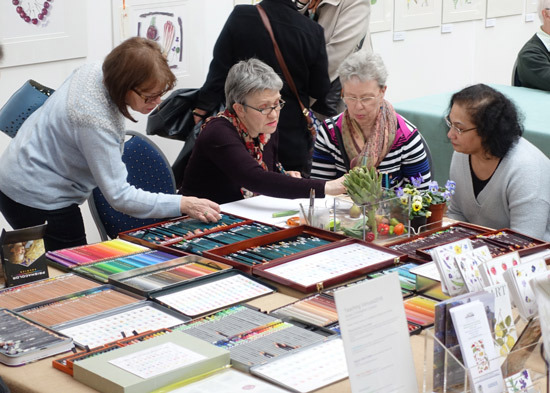 She organised and delivered her first set of botanical art workshops in 2018. Işık Güner is based in Turkey but travels widely. She studied Botanical Illustration with Christabel King at Bogazici University. After she graduated in 2006, she began working full time as a Botanical Artist. She has won Gold Medals at the RHS Botanical Art Show. She is involved with several major botanical illustration projects and teaches alongside these. She has been organising and delivering courses in plant painting since 2008, been a tutor for the RGBE Diploma and Certificate Courses and organized and taught botanical illustration courses in Spain, Chile, Turkey and Scotland. Kerri Weller - based in Ottawa Ontario. Exhibited at the Hunt in 2016. Teaches classes from basics to advanced. Tutors listed below are those listed on the ASBA website. Links in a name in bold go to the artists own website - generally their workshops and classes page. ​​Gilly Shaeffer Los Angeles - has taught Botanical Watercolor Techniques for Otis College of Art and Design in Los Angeles and at the Virginia Robinson Gardens in Beverly Hills, California. Provides small group classes at her home studio. Catherine M. Watters Orinda - a Botanical Art instructor at Filoli Estates in Woodside, CA, where she is an artist for the Filoli Florilegium. Jeanne Debons Bend - Teaching since 2008. Holds botanical illustration courses from her studio in Bend, OR and other locations by invitation. Derek Norman Daphne - Founder, Director of the Midwest Center for Botanical Documentation, a not-for-profit visual archive of the native flora of Illinois and the Midwest. For 10 years adjunct instructor at the Regenstein School of the Chicago Botanic Garden, Chicago, teaching a range of botanical art based classes at the beginning, intermediate and advanced levels. Heeyoung Kim - teaches locally and nationwide as a visiting artist with a common topic of watercolor, graphite, and composition. Alexander (Sasha) Viazmensky St. Petersburg Russia, / Minneapolis (base in USA) - focuses on mushrooms and teaches adults. Katie Lee Fairfield - a renowned botanical and wildlife artist and instructor and author of Fundamental Graphite Techniques. Offers year round classes online or in her studio. This listing is limited to those with experience of delivering a distance learning course - and who are based in Australasia. Leonie Norton - based in Australia, Has been operating a distance learning course for the last 11 years. This course is not online. All tuition and assessment is by post. Also does botanical art holidays. Helen Fitzgerald - based at Queanbeyan, NSW 2620. Teaches at Bungendore School of Arts. This is her Courses Page. Besides botanical art she also teaches skills in watercolour. Please contact me - see form at bottom of page - if you teach botanical art in New Zealand. Neera Joshi Pradhan - Lives in Kathmandu. Has an M.Sc. Botany and may be the only botanical artist/illustrator in Nepal. She has been teaching botanical art classes for beginners since 2004. PLEASE follow the instructions for completing this form carefully. My sole aim is to ensure that the Tutors included above have the appropriate credentials for teaching botanical art. If you can't follow instructions I'm not likely to be impressed! TIP: You can extend the form by dragging it down from the right hand corner. If you'd prefer to email me, please send your contact details in the form and I will reply with the list of information I need which you can complete and return by email. a proper website dedicated to teaching online and customised for viewing on devices of different sizes (ie desktop and mobile) and/or details available of facilities for communicating with students online. Please make sure you develop your website is informative and your use of both it and social media can provide me with online evidence of your courses which you can refer me to. why you are recommending them - please be specific as you can as to how they helped you.